It was much the same last year. Things aren’t going back to pre-GFC normal and we’ll just have to adjust to an era of trendless volatility brought about by global connectivity. So many things are now linked together that when one thing fails it can bring entire systems to their knees. This is compounded by personal connectivity, which means that we are also exposing ourselves to too much digital information and are therefore worrying about too many things. This is a natural responsive to chaos, confusion and angst. We need something, however small, that remains constant, or else something that we ourselves can control. In most cases this means our own backyards, but it can also mean sticking with things you know and trust. This search for control links with simplicity and provenance. As we trust the world less, control can also come in the form of banknotes under the bed and photographs and passwords on paper. Is H2O the new CO2? Some people think so. There is even talk of peak water alongside peak oil. Why is this happening? The main reason is population growth and shifting consumption patterns brought about by rising global incomes. Urbanization is a factor too as are water-intensive agricultural practices. Climate change isn’t helping either, with some regions facing droughts with others facing fresh water shortages caused by flooding. Water, on it’s own, is a problem, but an even bigger issue is what Shell terms the stress nexus of energy, water and food production. The world’s top ten oil companies (defined by reserves) are either state owned or state controlled. So are 80% of companies on the Chinese stockmarket, 62% of companies in Russia and 38% of major companies in Brazil. In the UK several banks are effectively state controlled, a state of affairs unthinkable ten years ago. Is this just a temporary move facilitated by fiscal turbulence and the need for certainty and control or does it represent a longer-term shift? We’ll see. Outside dieting and perhaps sport, people who collect vast amounts of data about themselves might be considered a little odd, but new small, low-cost technologies may be about to change all that. Self-tracking is a trend linked to health 2.0 and telemedicine, where individuals monitor almost everything they do on a daily basis. For example, how many steps are taken each day or how often is alcohol consumed? Who is doing this? Computer geeks, fitness freaks and the self-improvement fraternity in the US, but the trend is set to take off more or less everywhere. The idea isn’t new – people have been weighing themselves for years, but digital and mobile technologies make it cheaper and more convenient to collect and link data. An example of self-tracking technology is something called Zeo, which tracks how much you sleep. Another example is a sensor-laden sports Bra from Adidas, which can track heart rate and skin temperature. Yet another is Nike Fuel. Self-tracking links strongly with the shift of power of towards patients and the general movement from treatment to prevention. The eyes of the world are still on China as the wunderkind of the global economy, but China is ageing rapidly (cue shortages of low-cost labour). So where next? India is promising, but chaotic, Russia is a tinderbox and Brazil continually disappoints. Mexico? South Korea? Turkey? Indonesia? Possibly, but another contender is Africa. Growth rates in some African nations are close to those in Asia and domestic consumption is growing fast. Africa also has two things that the rest of the world needs: Natural resources and young people. OK, it’s hyped, but there’s still something in this. 3D-print services are already being offered by traditional print shops. If you don’t know about 3DP, it’s a way of producing 3-dimensional objects from digital instructions and layered materials dispersed or sprayed on via a printer. One way of thinking about this is that it is more or less the opposite of many manufacturing techniques, which are based on the removal of material. Applications include the manufacture of industrial parts in factories, but small domestic 3DP machines can print things that the average home might need too, for example, Christmas decorations for 2014. Sounds innocent enough, but what if you could print a handgun? Where does that leave customs and import controls? Links with the maker trend in the US. Like retail, but just for you. As more things become digitalized, the opportunities to personalize products for markets of just one expand. This could mean digital books that have the reader written into the plot or school textbooks tailored to individual learning plans. Links with the ‘long tail’, which is a term used to describe the online retailing strategy of selling a small number of difficult to obtain or tailored items to a large number of individuals globally. 3D digital body scanning in shops and via webcams should push this trend even further. Who are you? Who are we? Questions about common values, about whom, or what, nations represent are becoming more commonplace. Part of the issue is migration, which is diluting monolithic national identities. There is also the issue of some migrants no longer wishing to assimilate, which is fuelling ethnic tension. Then there is the more complex question of who we are in a world where communities are increasingly defined by common interests rather than physical proximity. If individuals can have more than one identity, thanks to digitalisation, which is more real? Moreover, if virtual life offers more thrills and fewer risks than real life, will we withdraw from present realities in favour of imaged fantasies? Last year it was cuddly pyjamas. They were connected with rapid technological acceleration and economic uncertainty. PJs offered physical and emotional warmth in cold and confusing times. 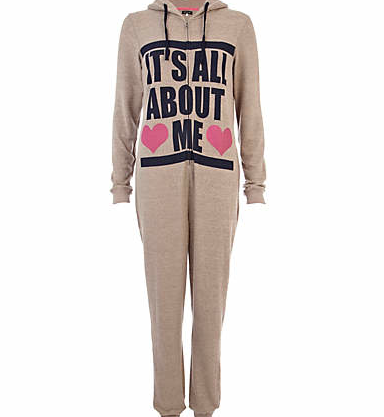 This year it’s the Onesie. Escapism with a hood attached. Being so fashionable, they are already seriously out of fashion by the time you read this, but something more sinister may take their place. If you mix an increasingly infantile culture with a need for physical and emotional warmth, what we might get is a one-piece nappy ‘suit’ that includes not only a hood, but built in socks, gloves and ‘waste chute’ too. Nice link. Funny, but I’m currently more worried about private companies than governments, but on next to no evidence! maybe in the future governments will be private companies (or is that the other way around?). Serco Group plc are already leading the way on that one!